Onion chutney (kara chutney) is a simple yet tasty side dish for idly/dosai. Karam means hot / spicy. 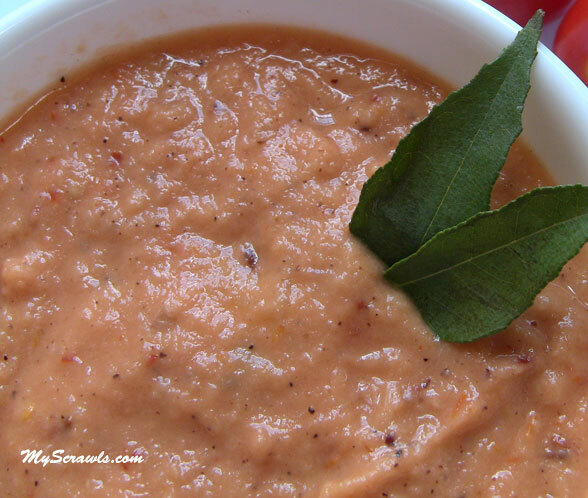 Onions and red chillies are the main ingredients of kara chutney. 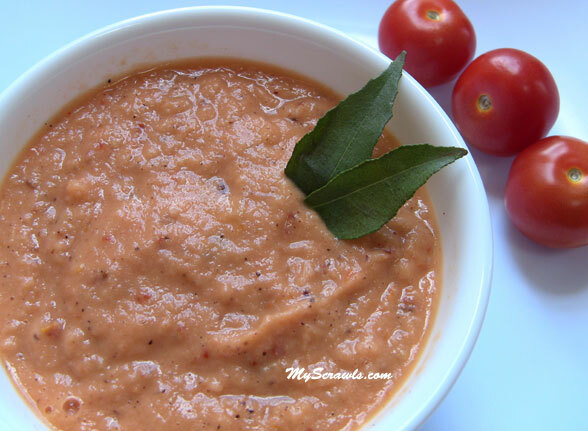 Tomatoes and garlic adds to the flavor of this spicy tasty chutney! There are lots of ways of preparing kara chutney. I know of 3 different methods that I learnt from friends & relatives. I love the 1st and 2nd method more than the 3rd one (all the 3 methods are given below). Heat oil and do seasoning with mustard, cumin, chana dal, urad dal, red chillies and asafetida. Toss in garlic and onions. Sauté till onions turn transparent. Fry till tomatoes turn soft / cooked enough. Add tamarind and water(as needed) and fine grind the mixture. Ensure to add right amount of water else chutney would become watery. Enjoy onion tomato chutney with idly/dosa! Sauté Onion, tomatoes, garlic and red chillies. Add tamarind and salt and grind them as thick paste. Heat oil and do seasoning with mustard, cumin seeds and asafetida. Add it to the chutney and mix well. Grind onion, tomatoes, red chillies and garlic along with salt and tamarind as a thick paste. Heat oil, do seasoning with mustard, cumin seeds and asafetida. Pour the ground mixture and sauté till the raw smell of onion vanishes! With Neem florets Welcome Ugadhi!